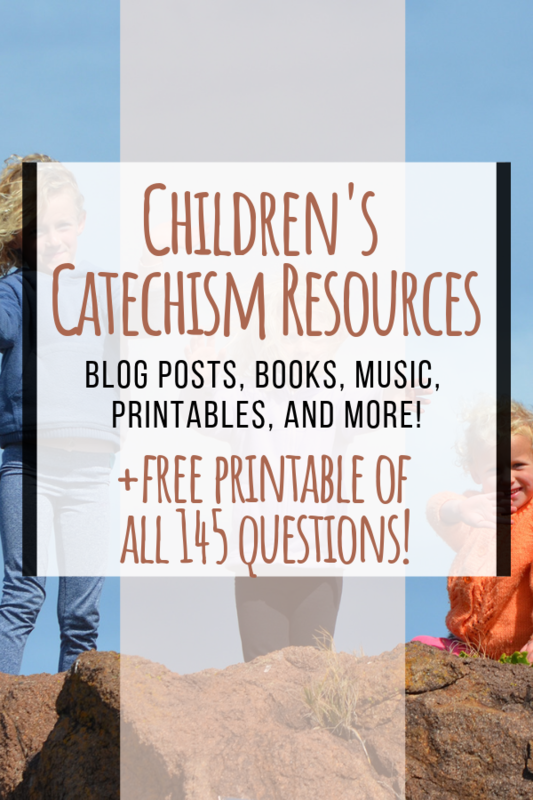 This page is the list of my favorite (and best) resources for the Children's Catechism (which is based on the Westminster Shorter Catechism but made easier for kids ages 2 to 8). 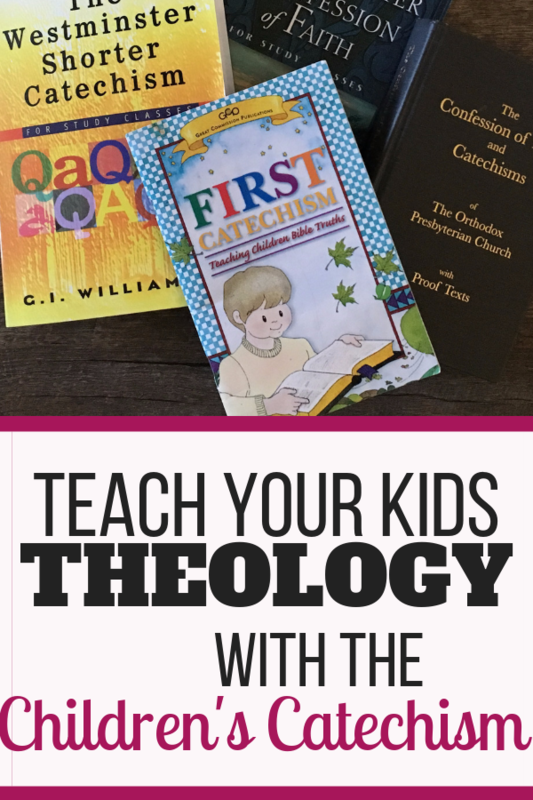 This page is the list of the best resources for the Children's Catechism (which is based on the Westminster Shorter Catechism but made easier for kids about ages 2 to 8). 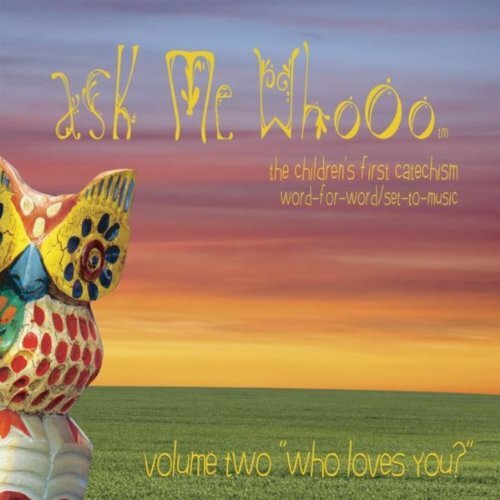 You can read more about why I think we should use a catechism here. If you're looking for resources for the Westminster Shorter Catechism, click here. This list is a work in progress! Be sure to check back as additional information is added. This page was last updated on March 9, 2019. 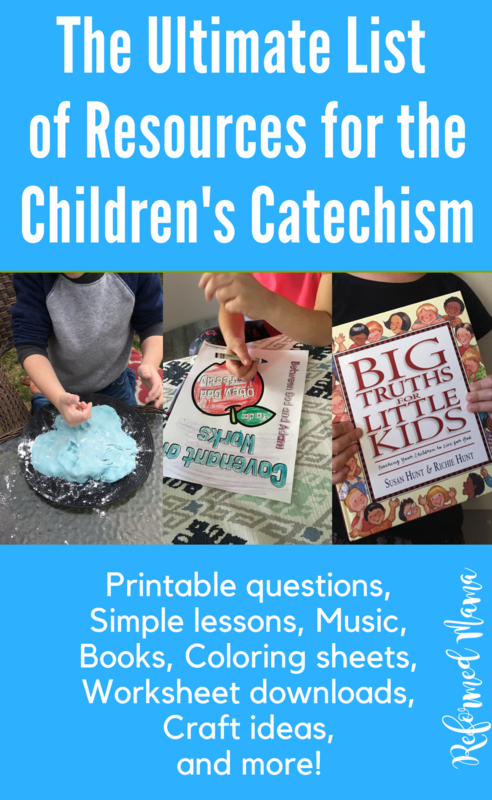 You can access the Resource Library at any time for all the free downloads available from this site (many having to do with the Children's Catechism). Some links in this post are affiliate links. Read my full disclosure policy here. 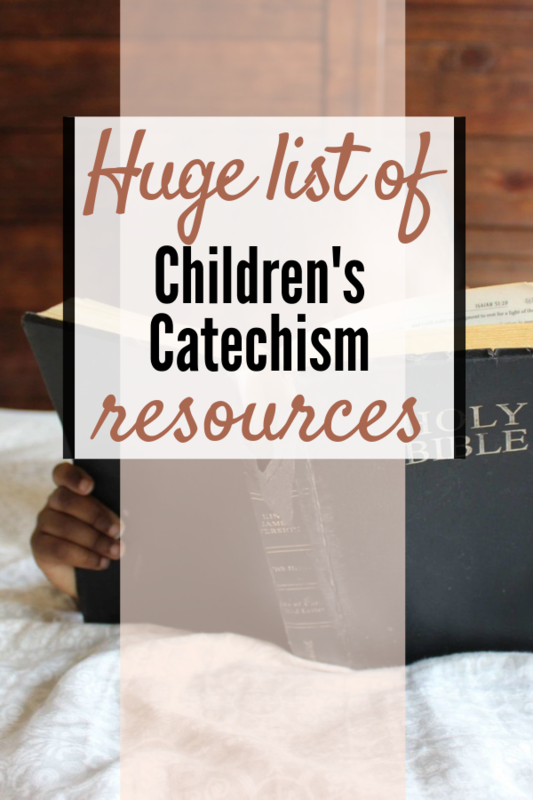 With the long list of names for the children's catechism (Catechism for Young Children, An Introduction to the Shorter Catechism, Kids' Catechism, First Catechism for Children, Westminster Shorter Catechism for Children - you can see how the list could go on! ), there are basically three different versions you will find. I make this distinction in a whole blog post here to explain the differences (between the 1840 Version, the GCP Version, and Songs for Saplings) so that you know how they tie to the different resources below as the questions differ in both their language and numbering. If you just want a really simple version to print that matches the numbers used on my site, grab it for free here. It's a PDF, so you can print it or save it on your phone or tablet. 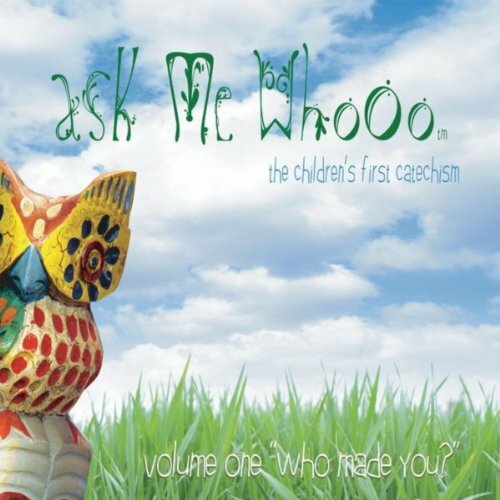 Questions in a great mobile-friendly format can be found at thewestminsterstandard.org/the-kids-catechism. You can find this online here from the OPC. You can buy the booklet from Westminster Bookstore (where it's the cheapest and easiest to get free shipping) or from GCP directly by clicking here. Sometimes it's available on Amazon (but it's usually overpriced there). This is basically the same as the two above - except that it has modified the questions to reflect a belief in believer’s baptism instead of paedobaptism - so the questions on baptism are different. You can find it online here for free or buy it on Amazon here. 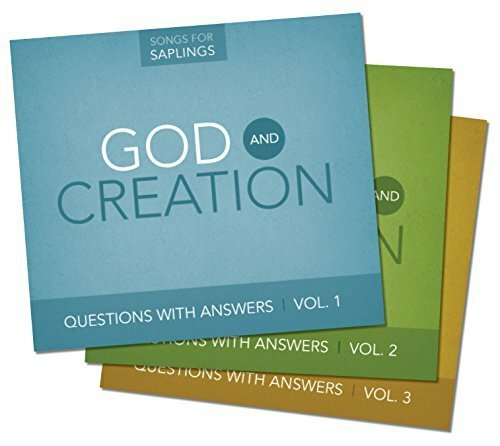 You can buy a digital download of the questions and answers in text form from the Songs for Saplings site here (last I checked it is available for $5). Important Note: If you are wondering where to start with the music aspect, I would highly recommend trying out a free 30 day trial to Amazon Music Unlimited as you will then have access to almost ALL of the songs below for free! That way you can see if you want to stick with the subscription or perhaps just use it to decide which albums (physical or digital) you want to buy. (Must have!) 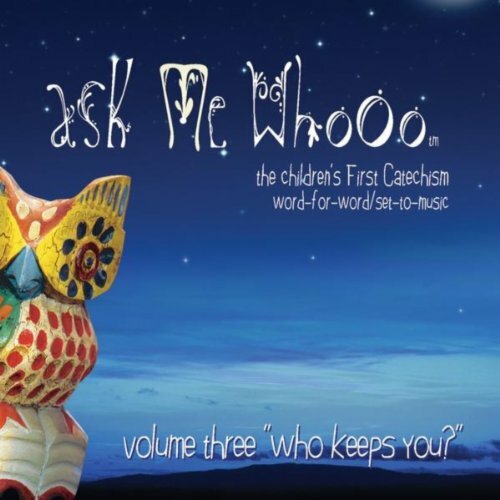 Ask me Whoo songs - I wrote a whole post about these songs here. Over three albums, all 150 questions from the GCP version are included - but if you're using the 1840 version, just quickly print the free spreadsheet I created in this post and you'll be good to go! (Must have!) 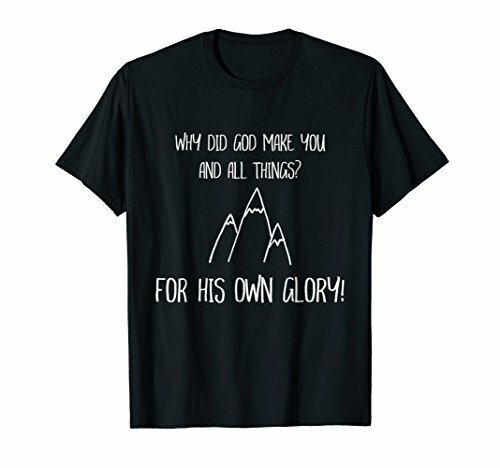 First Bible Truths: Songs Based on the First Catechism - I wrote a whole post about these songs here. I think these are a great resource to have when you are first starting out as they cover roughly questions 1-20 (from both the 1840 or GCP version). 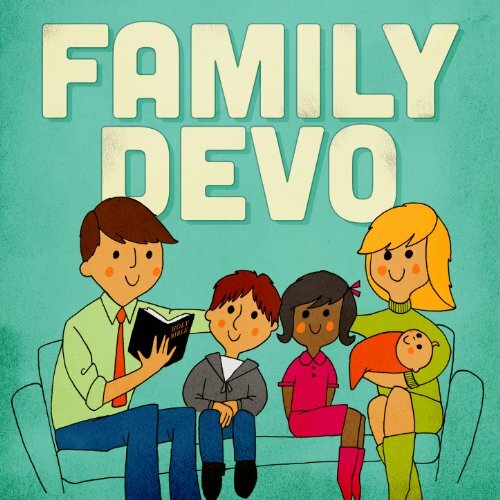 These may not have the wording exactly the same as either version but in that way with the fun dance-party worthy music, they help with the "good conversations" we are always looking for and not purely the rote memorization. The Reformed Kidcast - A (free) podcast (27 episodes in total) where a dad discusses the GCP version of the catechism with his two young kids. We're still working our way through it but it's nice hearing other people have those good conversations that we desire to have too. I also think when kids hear other kids their own age talking about God and using the language of the catechism it's really a good spark to keep them going! Access it in iTunes here or search for it in your favorite podcast app. The Songs for Saplings music is also great. The CDs are sold in sets on Amazon or directly from the Songs for Saplings website. Even though the questions and answers don't match as nicely with the other two versions, many are very similar. 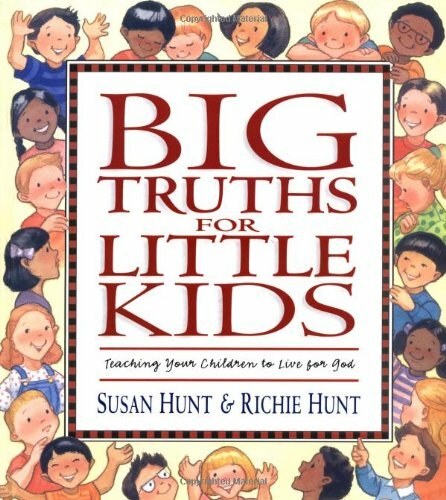 Big Truths for Little Kids: Teaching Your Children to Live for God - I wrote a whole post about this book here. If you're just starting or looking for a survey of all the questions, this is a great resource. These are using the 1840 Version numbering, for an easy to use comparison chart with the GCP version, go here. 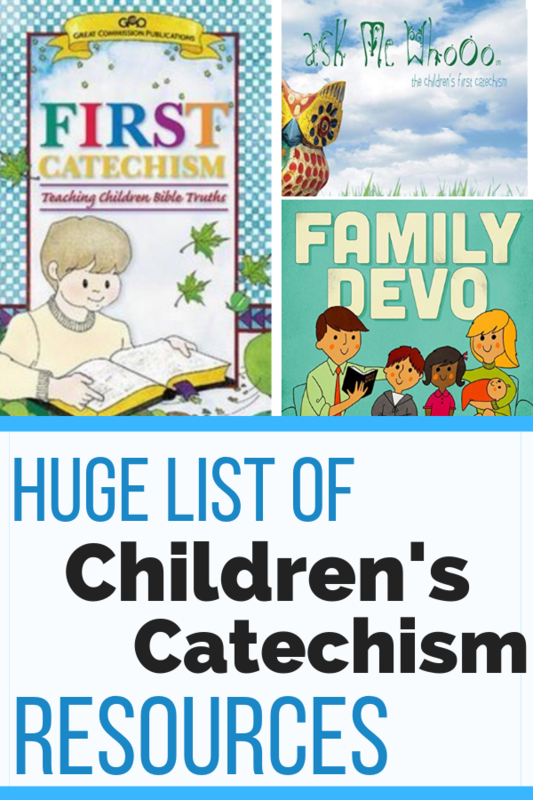 If you'd prefer to browse all of the children's catechism posts (that way you can also see pictures as you go), click here. Question 1: See this post (includes craft). Question 2: See this post (includes activity). Questions 3 and 4: See this post (includes craft and activity). Question 5: See this post (includes craft). Questions 6-8: See this post (includes printable). Question 9 and 10: See this post (includes craft). Questions 11-13: See this post (includes craft). Questions 14 and 15: See this post (includes a printable). Questions 16, 17, and 21: See this post (includes craft). Questions 18-20: See this post (includes printable). Questions 22-27, and 41-42: See this post (includes printable). Questions 28-30: See this post (includes printable). Questions 31-33: See this post (includes craft). Questions 34-37: See this post (includes printable). Questions 38-40: See this post (includes printable). Questions 43-45: See this post (includes printable). Questions 80-104: See this post (includes a printable matching game). Questions 137-138: See this post (includes activities). More coming soon! Check back soon for more and please, let me know what you'd like to see! And please, if you know of another resource you think should be listed here, I'd love to know about it - just contact me!